@Brunty Okay, let’s get going ! @Brunty Rope: Quick, only temporary but needs rope. Build a bridge: Slow, needs lots of materials, but re-usable for yourself and others for years to come. Fly: Super quick, requires the wizard to be able to use this. Find another way: Needs the least preparation and materials, but unknown on how long it’ll take. @Brunty Hey DM, can we try …? 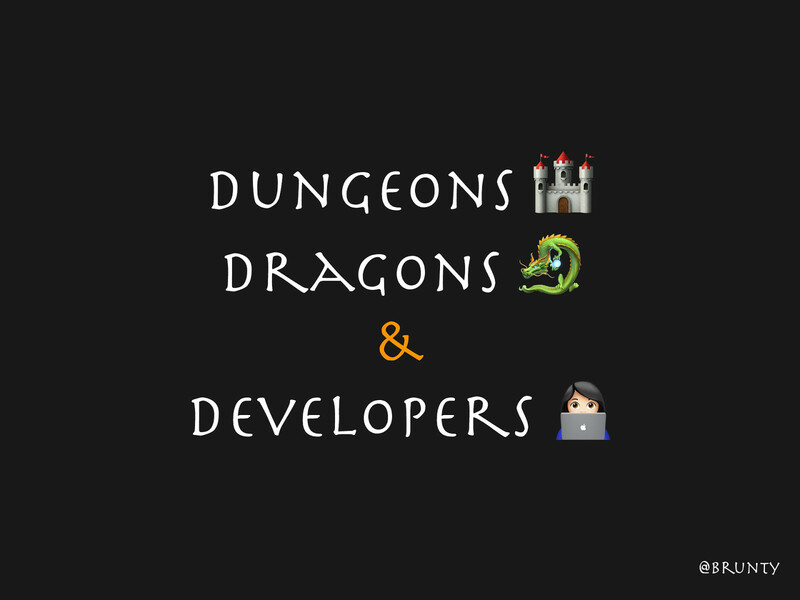 View Dungeons, Dragons & Developers on Notist.